Update – This model has been discontinued and a new version is available here. Walking is the most popular fitness activity in the world and it is an incredible way to get exercise. Bowflex TreadClimber makes walking even better by combining the movements of a stepper, a treadmill and a standard elliptical. You are not just moving straight; you are raising your knees higher and lower but you are still walking. 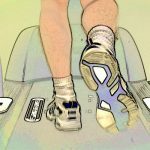 These three movements together allow you to burn more calories simply by walking. The TreadClimber workout is very simple. It truly is just walking uphill. The machine creates a smooth, low-impact 3-in-1 motion that you feel like you can do all day long. This tricks you into working harder. Many people talk about the struggle that they have had sticking to an exercise program and a big reason it does not work out is because of aches, pains and physical discomfort. Running does burn a lot of calories but it is really hard on your body and joints. In addition, many people have difficulty sticking with a running program for a longer period. 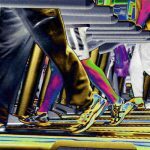 While walking on a TreadClimber you need not worry about the wear and tear on your joints. For anybody who has knee problems or joint problems, this is a good option. Besides, it is very easy to use as you just have to walk and nothing is easier than walking. 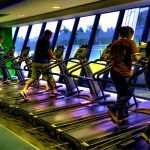 The TreadClimber also has a low perceived rate of exertion, which means that you can work out and lose many calories but not feel like dead tired in the process. 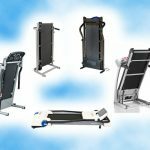 Regular users of TreadClimbers have shown benefits such as an increased energy level, improved bone density, an increase in good cholesterol and a reduction in back pain. The TC10 is the best selling Bowflex treadclimber machine of all time. It comes with easy to read four LCD display screens to track your speed, distance, time and calories. You may challenge yourself with the quick start feature and instantly start burning calories with speeds up to 4 miles per hour. The TC10 also features a ‘G.O. Coach’ or goal oriented technology with motivational workout challenges and the ability to track progress for one user. Tracking with TreadClimber is a great feature. Letting people know that they have achieved their goal is the kind of feedback that most people need to be successful. The built in motivation engages you and lets you progress incrementally so that you stay on target. The Bowflex TreadClimber is smaller than a full sized treadmill so it can fit in a lot more places. The TC10 model has an ergonomic console that gives you easy access to your water, magazine or a tablet. 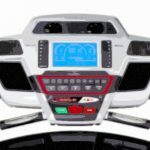 It has a 0.5 to 4 mile an hour speed range that isn’t much compared to some other treadmills. The TreadClimber has transport wheels attached to move around easily. The Bowflex TC10 is the mid range option of TreadClimber models to choose from. The TC5 TreadClimber costs significantly less but it does not have an electronic display, no readouts, no tracking and no powered motor. The TC20 is in the higher range with additional features and can track multiple users. It is suitable for a large family. The TC10 TreadClimber is quite heavy and difficult to move even with the small wheels. It weighs around 185 pounds. The assembly may take 0.5 to 1 hour. It is always better to get it assembled and aligned by a technician. The walking area is quite small and some users have reported their shoes getting stuck at the point between the platform located at the back and the moving belt. The console is very basic and you might expect more options for the price you pay. It can get noisy if placed in smaller rooms. There are no entertainment options, no iPod jacks, no speakers, no fan and no heart rate monitor. The incline resistance (up and down motion) is manual and is not electronically controlled. User weight limit is 300 pounds. This TreadClimber is not foldable. 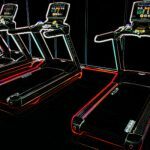 You cannot use it as a flat treadmill as there is no option to lock treadles into position. The tread length of around 4 feet may not be suitable for a tall person as the stride will be longer. The machine needs to be plugged to an electrical outlet to function. 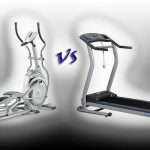 You cannot use Bowflex TreadClimber for running. It is meant for slow jogging or brisk walking up to 4 mph. Users have complained about the bad customer service, no clear instructions for replacement parts and problems with returns.